According to preliminary data, 11 soldiers from the battalion were killed. 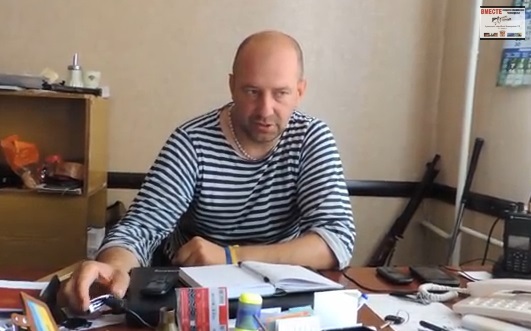 Notice of the death of Aidar Battalion commander are false. The Aidar volunteer territorial defense Battalion refutes information about the death of Commander Sergei Melnychuk in battle Saturday night, September 6. This was said by telephone by agency Interfax-Ukraine’s Assistant Commander Roman Romanovich. “In fact, the second battalion fell into an ambush after the truce. According to preliminary data, 11 people died. We do not have notice of the death of Melnychuk. Just a couple of hours ago (noon local Ukraine time) he made (telephone) contact,” –said Romanovich. He said that since the announcement of the bilateral ceasefire Aidar has repeatedly been faced with violations of the truce on the part of the enemy. We will note that the message of the death of Aidar Commander Melnychuk, together with part of his second company of the battalion, which was ambushed by Russian special forces near Vesela Hora, appeared earlier in social networks. As previously reported, in Minsk on September 5th, the Trilateral Contact Group signed a protocol for an immediate ceasefire in the Donbas. Later President Poroshenko ordered a ceasefire in eastern Ukraine for 18:00, which ATO [anti-terrorism] forces carried out. This entry was posted in English, English News, South&Eastern Ukraine, War in Donbas and tagged #RussiaInvadedUkraine, #SaveUkraine, #UkraineUnderAttack, Aidar Battalion, Ukraine. Bookmark the permalink.